This year we’re expanding our selection of convenience goods to make it easier for locals and visitors to stop in for a quick soda, snack, or sweet treat. 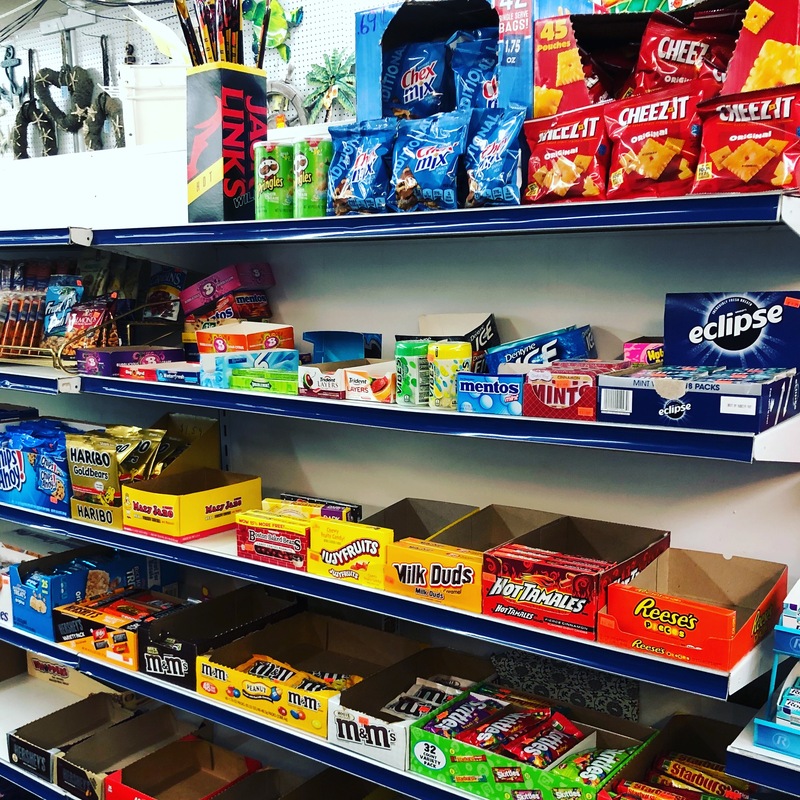 We have all your candy favorites including Snickers, Kit-Kat, Baby Ruth, Hershey Chocolate bars, Skittles, Starburst, Reeses Peanut Butter Cups and much, much more. Soda will be stock with the usual Coke, Pepsi, Mountain Dew, Sprite, Dr. Pepper, etc., plus some new additions like Starbucks Frappuccinos, Classic Mexican Coke, and La Croix sparkling water. So, if you want quick snack or just to stop in and say hello to our amazing staff, please do!